A pair of hands clasps a pen within two fists, flexes a bit and then opens up to reveal the pen has disappeared. We all know it's an illusion, but what's really bothersome is trying to figure out how it was done. 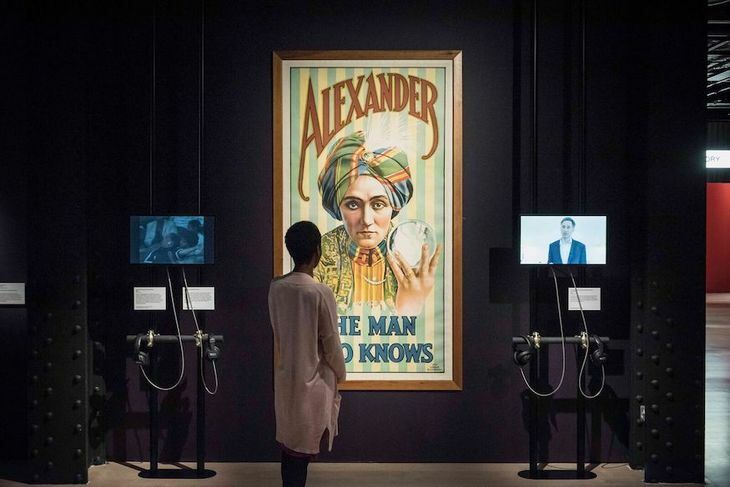 If you want to know the secrets of how magic tricks work, head to this free exhibition at Wellcome Collection, which breaks it all down and reveals some secrets of the trade. In the late 19th century, spirit photography featuring ghostly figures was popular, as were mediums who claimed to be able to communicate with deceased loved ones. 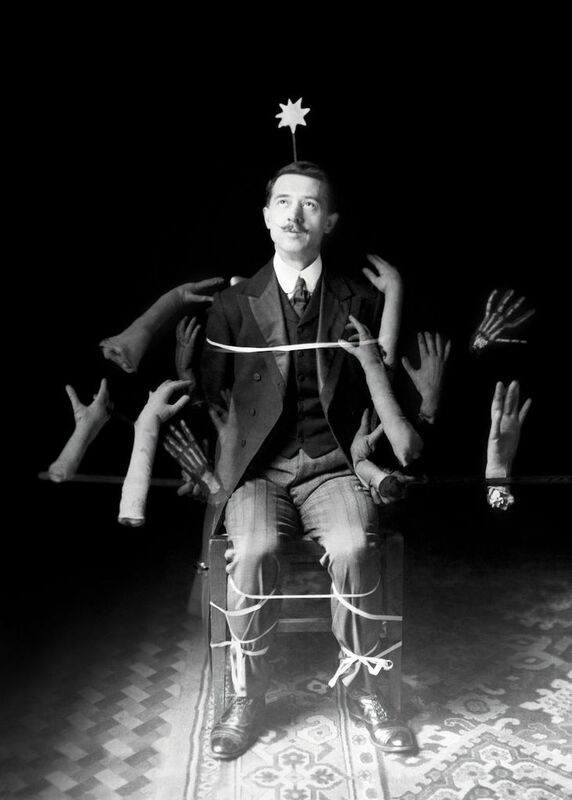 The popularity caused magicians and scientists to team up in disproving these charlatans by showing how the medium's leg was used to lift up a 'levitating' table, and that a photograph of a seated man surrounded by ghostly hands is just an elaborate prop. A fun silent film shows a sham seance being exposed by simply turning on the lights — there's a reason these things happen in the dark, after all. The legendary Houdini went to great lengths to disprove so called 'spiritualists', but it's surprising to hear that Sherlock Holmes author Sir Arthur Conan Doyle was in the opposite camp as a believer. 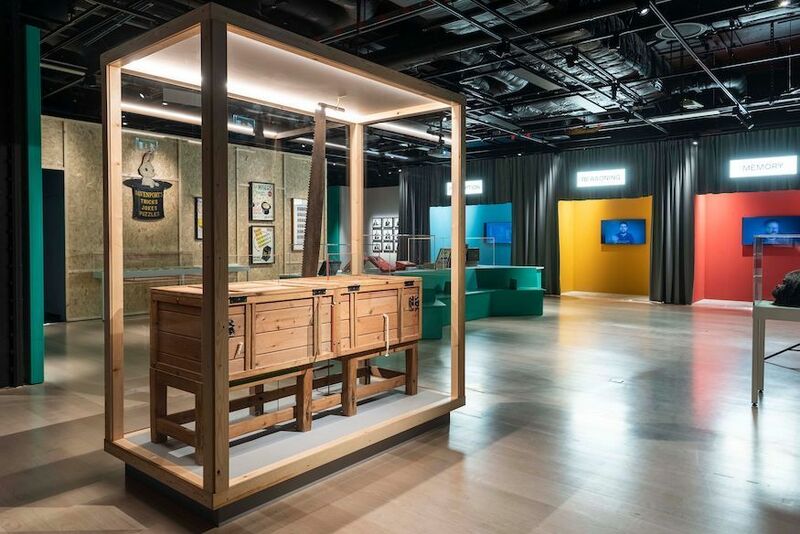 From an early example of a home-made ouija board to a short film of a Tommy Cooper magic trick, this thought-provoking exhibition covers the history of magic and how it has influenced scientific research in psychology. Magicians often exploit our human foibles to fool us, whether it's using misdirection or knowing which playing cards most people are likely to pick*. It's these tendencies that have informed scientific research on how our minds work, with plenty of short videos explaining how our attention and memory can be misled. This show is full of ideas and insights — it presents the need to regulate stage shows featuring hypnotism in case of side effects on a participant's mental health. Interestingly, 78% of an audience of psychology students can be converted to thinking a man is communicating with a spirit when the actor alongside is convincing enough. 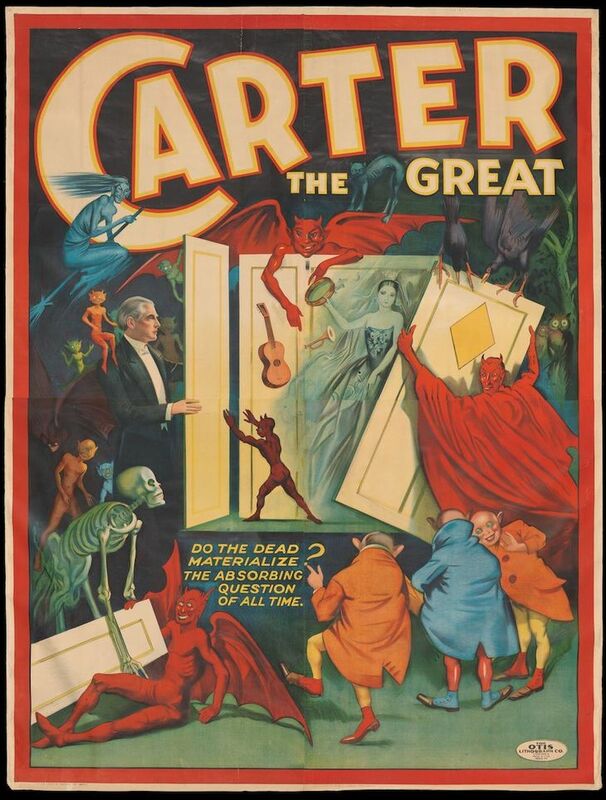 Magicians may have critiqued spiritualists but still used religious imagery to promote their stage shows. Image courtesy of The British Library. It's the kind of exhibition that will have visitors questioning how often they are being manipulated or prodded by subtle cues in the world, and disbelieving everything they see. Given the rise of fake news, it's all the more relevant and instils a healthy dose of scepticism in its audience. Smoke and Mirrors: The Psychology of Magic is on at Wellcome Collection until 15 September 2019 and is free to visit. * For those wondering, when given a free choice most people gravitate towards Ace of Spades, Ace of Hearts, King of Hearts, Queen of Hearts and Queen of Diamonds.